Courtesy Cheim & Read, New York, New York. 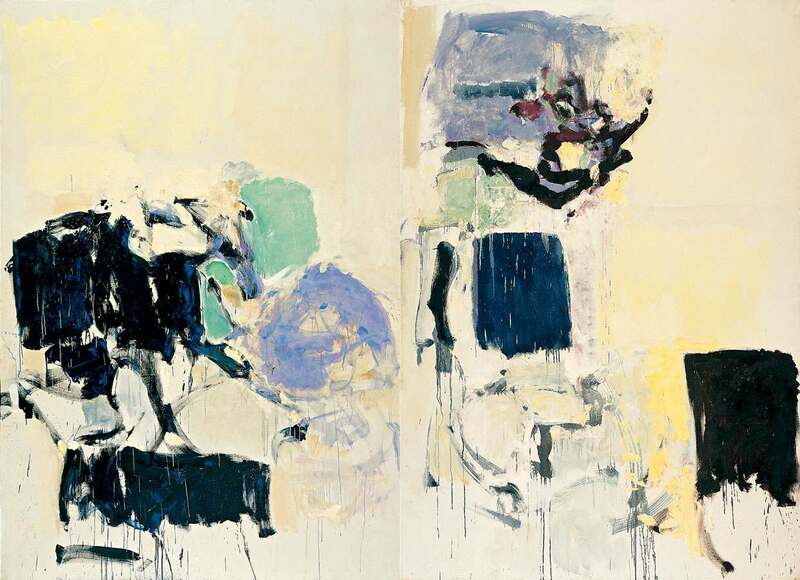 Joan Mitchell found inspiration in the surrounding world, although her preoccupation was not with the appearance of place but with her personal response to it, her feelings, thoughts and memories. In Preface for Chris, the original place that triggered the artist’s imagination could be the lakefront in Chicago, her hometown, or her garden in Paris, the city where she spent most of her life. However, this place became completely transformed and reconfigured by the artist’s broad and energetic brushwork. Large buoyant forms, punctuated by streaks of dripping paint, evolve and elapse, embroiled in a dynamic interaction with each other, like glimpses of the past or dreamlike visions. Although her painting technique evoked associations with Abstract Expressionism, Mitchell abhorred being called a “Second Generation Abstract Expressionist” or an “Abstract Impressionist.” She felt equally distanced from the fascination with the subconscious typical of the originators of the style and from the existentialist searches of its younger practitioners. Mitchell maintained that her working method was informed by visual forms in nature rather than by intellectual constructs.